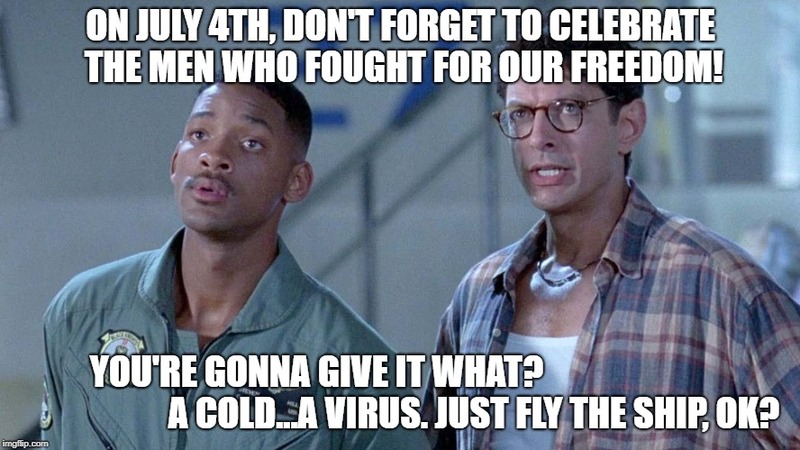 ON JULY 4TH, DON'T FORGET TO CELEBRATE THE MEN WHO FOUGHT FOR OUR FREEDOM! YOU'RE GONNA GIVE IT WHAT? A COLD...A VIRUS. JUST FLY THE SHIP, OK?